English Cocker Spaniels, also known as Cockers, boast overall good health, but like all dog breeds, they can develop a few health conditions in the lifetime. 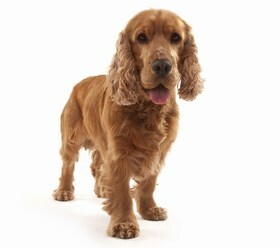 One of the biggest health conditions that affect English Cocker Spaniels is deafness. This is a birth defect caused by a rogue gene in parti-color pups. Painless and incurable, most pet owners simply train their Cockers through basic sign language and a rewards system. 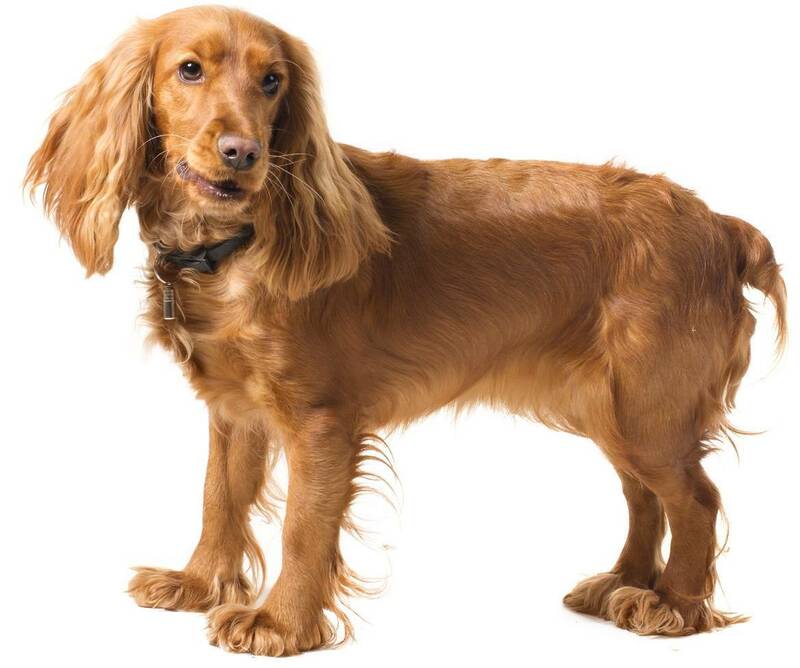 English Cocker Spaniels that are deaf can lead a full and happy life, but it might be a shock to the pet owner at first. There is no way of knowing your pup will be deaf until he grows old enough to recognize sounds the way his siblings would. Ask your vet to perform a thorough examination to test your pup’s hearing and sound reflexes. Usually a result of ingesting toxic materials or bad foods, this condition is a long-term disease that ultimately causes kidney failure. 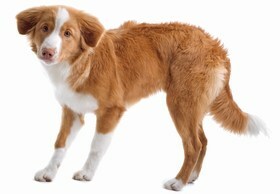 It is the leading cause of death in canines, and this condition can be managed, but the disease itself is incurable. Symptoms include depression, severe weight loss, excessive thirst, severe bowel movements or none at all, no appetite, exercise intolerance, and labored breathing. This condition is a birth defect that occurs when the hip bone and socket are malformed, resulting in cartilage deterioration and dislocation. Symptoms include an obvious limp and an awkward gait. Surgical intervention is required to correct this condition. If left untreated, it could cause permanent nerve damage and painful arthritis. 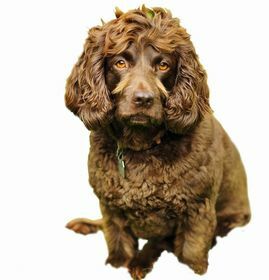 The English Cocker Spaniel has a diverse personality with, what pet owners would consider, upsides and downsides. Where he can be protective, intelligent, and alert, he can also be snippy, grumpy, and wary. Where he can be obedient, strong, and faithful, he can also be greedy, destructive, and aggressive. 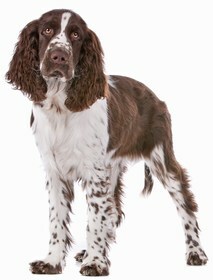 Most of the downsides to the English Cocker Spaniel can be suppressed with proper training and socialization, but these pups also boast a natural stubbornness and need for independence that will always be prevalent in their daily activities and interactions. 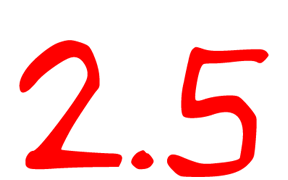 Training should consist of positive actions, such as compliance equals reward, or obedience equals praise. English Cocker Spaniels are roguish and love to hog the couch at nighttime. They love to snuggle with loved ones, but they can be extremely wary of strangers and other dogs. If you have children and other pets, your English Cocker Spaniel will do well being raised with them. However, other kids and other dogs are questionable, as the pups don’t know their habits and personalities. Aggression is possible, so socialize your English Cocker Spaniel at a young age to establish tolerance and acceptance. Exercise-wise, the English Cocker Spaniel can be an energetic purebred, but they are just as happy to chill out for a few hours. However, these pups become stressed easily, so fun activities help them relieve tension and stress as much as pent-up energy. On rainy days, get on the floor and play with your English Cocker Spaniel. Rope toys and drag-around no-stuff teddy bears are great toys for these pups. You could also let your pup out into a fenced-in backyard when the sun shines. Or, take a well-behaved, well-trained English Cocker Spaniel to the dog park. Moderate shedders, the English Cocker Spaniel has a fluffed coat that needs daily brushing with a stiff-bristled brush and comb. Go through her fur with the comb first to unkink tangles. Then go back over with the brush to grab excess hairs. Bathe your English Cocker Spaniel once a month. Brush her teeth at least three times a week. Clip her toenails every 2-3 weeks. Trim her coat every 6-8 weeks. And clean her ears once a week with warm water and a gentle cotton swab. Boasting hearty appetites, English Cocker Spaniels are prone to being overeaters, so keep a strict food schedule that they can get used to. Feed your pup 2-3 times per day, with ½ to ¾ cup of dry, high-quality kibble per meal. Use this information as a simple guideline, but ask your vet for a more concrete meal estimate. Every English Cocker Spaniel is different in their nutritional needs. Looking for a English Cocker Spaniel? English Cocker Spaniels are some of the oldest purebreds in the world, and some of the most popular. These fluffy-eared pups have an abundant following of adoring Cocker fans, so there is never a shortage of this breed. In fact, you should check your local animal shelter before finding a breeder. You could give an abandoned pup the second chance it deserves for a happy, healthy, amazing home. Plus, adoption is less expensive than looking for purebred pups from breeders. Adoption fees, while they vary from state, to county, to shelter, usually range from $75 to $250, depending on the breed, health history, and age. If you can, shell out an extra $200 to $300 to have your pup updated on vaccinations, and opt for spay or neuter services, and a general health check. Overall, the adoption would cost between $400 to $550 for an English Cocker Spaniel. If you have your heart set on the breeder route, expect to pay upwards of $900 to $1,200 for English Cocker Spaniel puppies. To ensure you have found a trustworthy breeder, ask for purebred documentation, parent health histories, and a detailed report of the health and birth of the puppies, thus far. Any reputable breeder will happily, honestly give you whatever you need to make an informed decision. Ranking takes into account a few basic factors including cost, skill level needed, high vs low maintenance and how critical regular training is to success. English Cocker Spaniels are a 2.5 on the integration scale. The attitude, mood, and overall behavior of these pups depends entirely on your attitude, mood, and overall behavior. These purebreds are mirrors of the time and energy you invest in their training and socialization. Great pet owners make great pets, so put your best foot forward during every training session and every moment you spend with your English Cocker Spaniel.